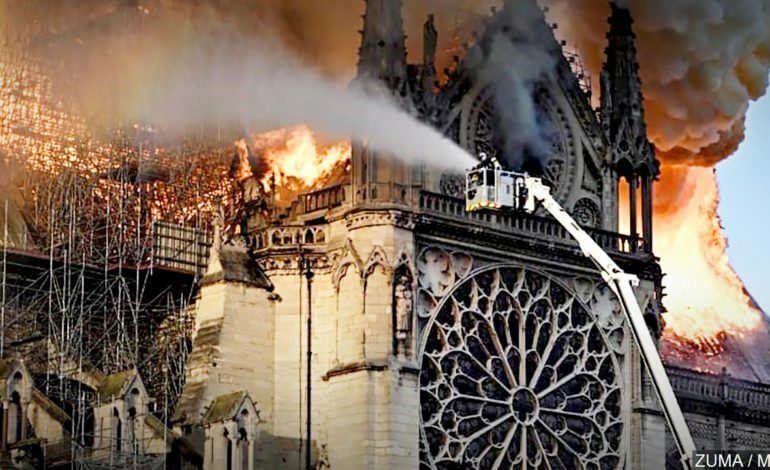 The historic Notre Dame Cathedral in Paris, France was engulfed in flames Monday morning. The massive fire led to the collapse of the structure’s main spires. A collection of dramatic videos and photos spread through social media showing the roof and spire of the nearly 900-year-old cathedral engulfed in flames and massive amounts of smoke billowing up from its roof.